Forward-thinking investors know the marijuana industry is a major profit opportunity. Sales in North America topped $6.7 billion in 2016, and sales are expected to climb to $20 billion or more by 2020. That's a potential increase of 198% in just four years. But finding the top marijuana stocks to watch isn't easy, as many pot stocks trade on over-the-counter (OTC) markets. That's why Money Morning identifies the news each week that could move cannabis stock prices. And the first stock on our watch list this week is North American Cannabis Holdings Inc. (OTCMKTS: USMJ). North American Cannabis has partnered with Puration Inc. (OTCMKTS: PURA) to launch CBD-infused bottled water, according to MMJReporter.com. USMJ's EVERx brand develops CBD products for sports, wellness, and fitness, but most products are still in development. This is the first product commercially launched under the EVERx brand name. The product launch for the CBD water will be on March 2, 2017, at the Arnold Sports Festival in Ohio. There will be over 18,000 athletes competing in 70 different events. So far in 2017, the USMJ stock price is up over 22%. Considering the Dow Jones Industrial Average has only climbed 3.74% in 2017, that's impressive. But these next two pot stocks have performed even better. If you were to pick stock from above whitch one would you pick. ? nothing but up only 16 million shares not 2 billion! GREENWOOD VILLAGE, CO–(Marketwired – Feb 9, 2017) – CannaGrow Holdings, Inc. (OTC PINK: CGRW), a Liaison and Consultant providing turnkey solutions to licensed growers, announces the meeting of a major company benchmark as Licensed Grower, Category One Botanicals, LLC, completes their first major harvest cycles and initiates marketing and distribution of wholesale retail Marijuana products in the State of Colorado. 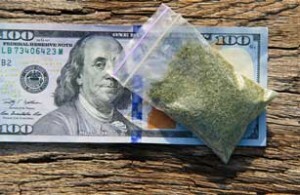 I am all in for making money, even if it is marijuana stocks. An easy to agree statement but finding cannabis stocks that are worth investing is becoming more difficult. A continuing watch is a must. Reliable source information is also difficult.